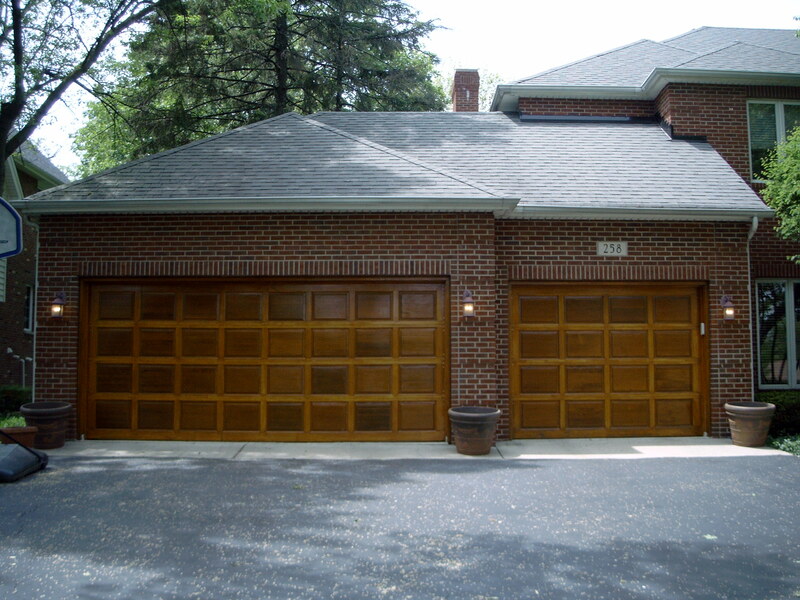 Due to the competition browsing our website for creative ideas on our custom created wood garage doors we are limiting the rest of our large selection to ***Appointment Only*** !!! We do apoligize for any inconvenience this may cause. 16' x 7' existing residential flush masonite garage door prior to Aloha Overhead Door,Inc. 16' x 7' almond steel insulated raised panel glazed residential after Aloha Overhead Doors,Inc.